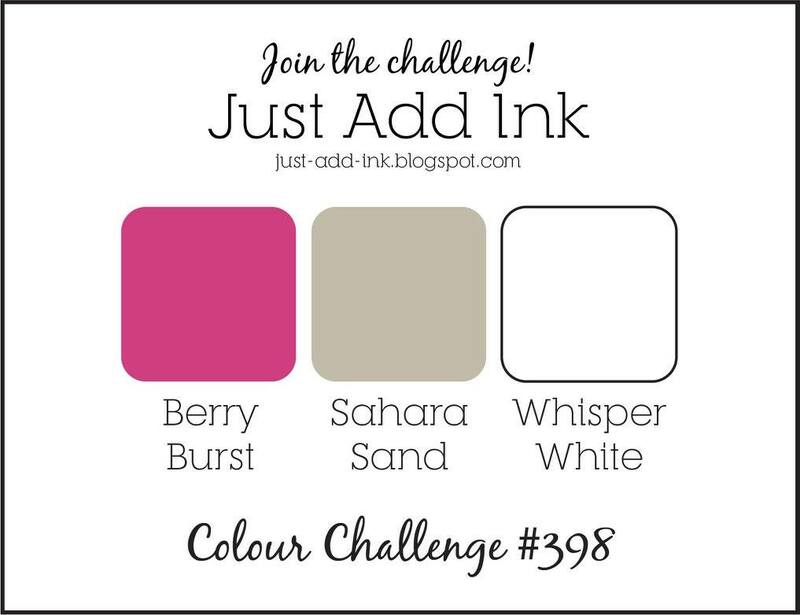 My Sandbox: Just Add Ink #398...Colour! Good morning! 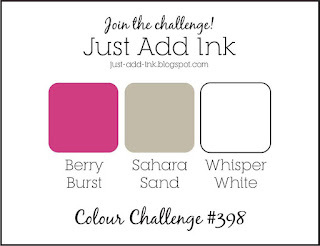 It's time for another fun Just Add Ink challenge and this week Patrice has given us these pretty colours to create with. 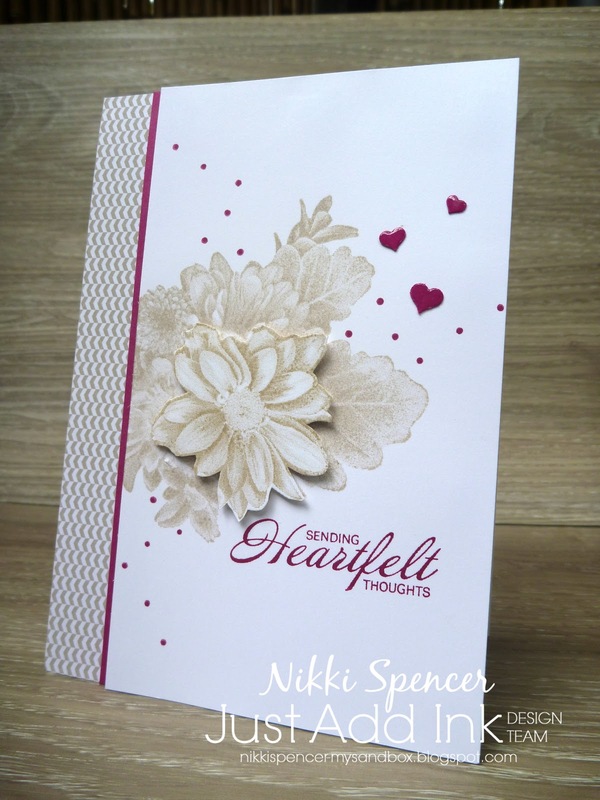 I've gone very CAS, using the Heartfelt Blooms stamp set from the Sale a Bration brochure to create a sympathy card. Luckily l don't need it at the minute, but its always great to have these on hand as you usually don't feel like making them at the time. The rest of the design team have combined the colours to create some gorgeous inspiration for you, so don't forget to pop over and check them out.